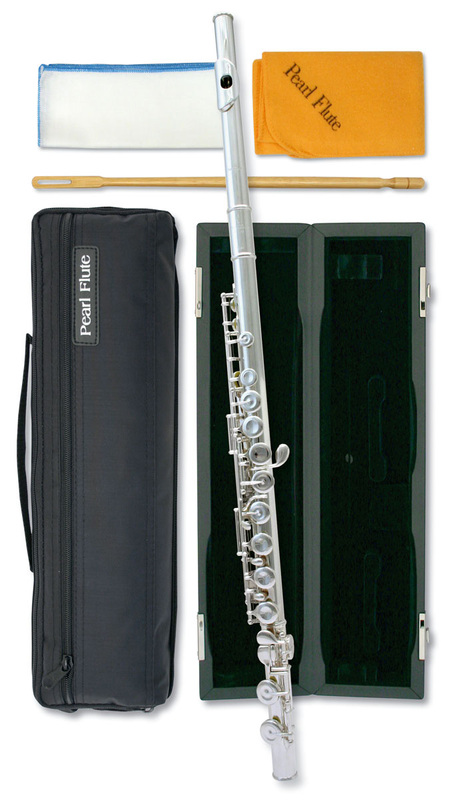 The Pearl 765E Quantz flute offers the advancing student or serious amateur flautist a beautifully warm tone with an exceptionally efficient and dependable mechanism. This hand-finished instrument would be ideal as an upgrade flute, due to the improved tonal depth and interest provided by the solid .925 sterling silver head joint and body. Has a solid .925 sterling silver lip plate, riser, head joint and body.